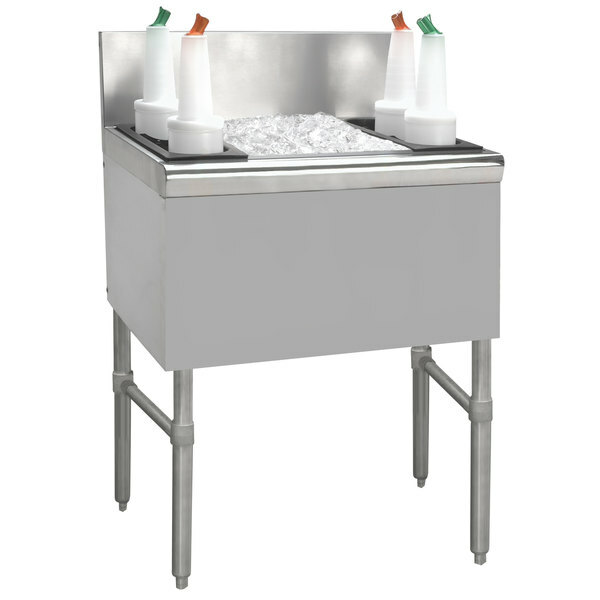 For exceptional ice storage and serving practicality, look no further than the Advance Tabco PRI-24-36-XD Prestige series stainless steel underbar ice bin. Items found within the Prestige series of underbar equipment line up perfectly with each other, creating a uniform look across any bar. In addition to a number of eye-catching features, this item boasts an exclusive twist-action leg assembly for added strength and an extended backsplash to create a truly one-of-a-kind unit. Thanks to a 15" deep bin with 2 lb. 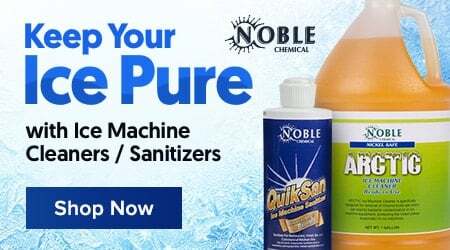 density foam-in-place insulation, this unit is sure to keep your ice at the perfect temperature over an extended period of time. A 7" backsplash serves to prevent ice and water from spilling onto the floor, while a 1 3/4" return with integrated soda gun knock-out allows for quick, efficient service of all your signature drink offerings. The Advance Tabco PRI-24-36-XD Prestige underbar ice bin boasts an 147 lb. capacity, making this unit perfect for your restaurant or bar.